Entries for first Singles. Entries for first Doubles. Entries for additional Doubles. Maximum fee charged per player is + the processing fees for the number of events you select. This year 16th annual Longboat Key Super Cat II Senior tournament is being held November 27 to December 2. This tournament has age brackets from 55 to 80, in both singles and doubles with a consolation round for first match losers which means you will have at least 2 matches. Many of you have played in the tournament before and know how nice a tournament it is. Last year there were nearly 300 players which made it one of the most popular in the country. For those who have not played before, you might want to check out the tournament web site at: http://www.lbksupersr.com/ The site has a short video showing the facilities and some of the surrounding area. Also on the registration page down below the applicants tab are a number of useful informational notes. You might want to look at these as well. The best thing about signing up early is that you will not continue to receive reminders from me to sign up. Of course you will receive pertinent tournament information after the tournament signup period closes on November 20th. FYI, your credit card will not be charged until after the entries close on the 20th, however, your name will appear under the Applicants tab on the tournament site. Between now and November 20th, if you find you cannot play, there is an edit registration on the tournament page for you to withdraw your name from the tournament. After the 20th, you will need to contact me if you have to withdraw. If you have any trouble signing up, please let me know. 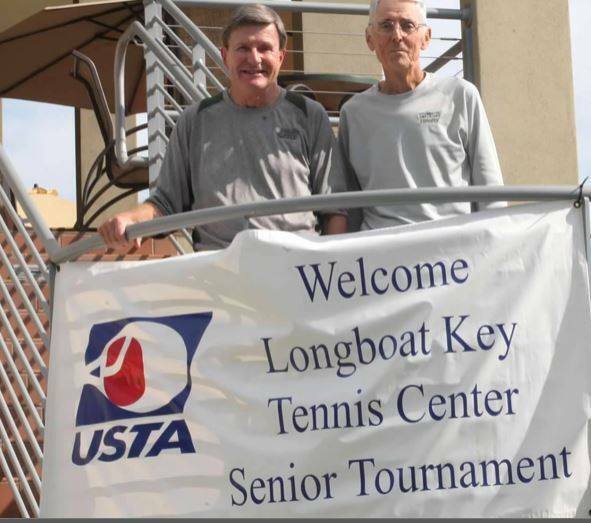 I am looking forward to being the tournament director again at this year's Long Boat Key Super Senior tournament and I hope to see many of you at this year's tournament November 27 to December 2.